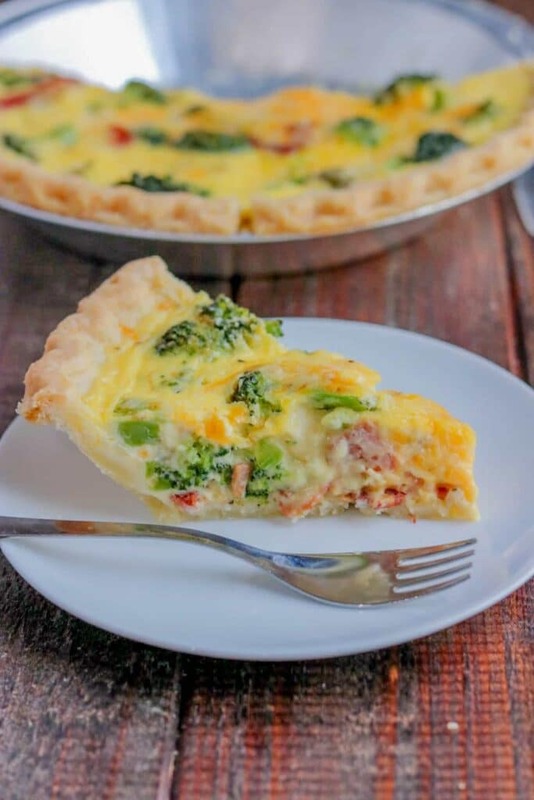 This Broccoli Quiche Recipe (with bacon) is deliciously easy, totally cheesy and filling, made in about 30 minutes, and great for making ahead! Hi! It’s been a busy few weeks for me – work has been busy, my parents are visiting from New Zealand and I am busily preparing for my youngest son’s 5th birthday. Just looking at the calendar, I’m freaking out a little bit, there’s just so much going on. Whenever I start feeling anxious about how little time I have, I usually go in the kitchen and make a big pile of food. I know, I know – if I have no time, then how do I have time for this? Well, I’m a big believer in doing this today that my future self will be thankful for. Make the bed? Future me will be super happy to see it all tidy when she gets home from work. Make a quiche? Future me will be super happy to find it in the fridge after a day at work! It’s a savory, baked flan or pie, made with eggs and cream or milk. There are so many flavor combinations that have their own names, like Lorraine and Florentine (Ham & Cheese/Spinach, respectively). Mix up the fillings – meats, cheeses or seafood and make a fabulous quiche of your own creation! This Broccoli Quiche Recipe is a good’un. VERY quick to prepare (especially if you use a pre-made crust, like I do!) and a quick stint in the oven – and it’s ready to go. Should Quiche be eaten hot or cold? Either! I love it both fresh out of the oven, and chilled. You could eat it warm, or chill it and eat it cold with some salad (and an extra large glass of wine). PIE CRUST – For this, I use a store bought crust – totally unbaked, and still frozen. CHEDDAR – grate your own! SALT & PEPPER – season ‘er up! Grate your own cheese! Store bought pre grated cheese has additives that make your finished dish a little gritty. Just bust out your grater! 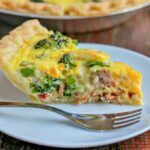 Thick cut bacon is best in this quiche, it makes the bacon flavor more prominent. 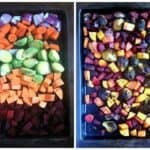 When cooking – place on a baking sheet. In case your eggs are bigger than mine, and there’s overflow – you want it on the baking sheet, not baked on the bottom of the oven! Use a store bought frozen pie crust – or make your own! If you find that your crust is browning too quickly, cover the edges with tinfoil. Storing the quiche in the refrigerator – cover tightly with plastic wrap and eat within 3-4 days. 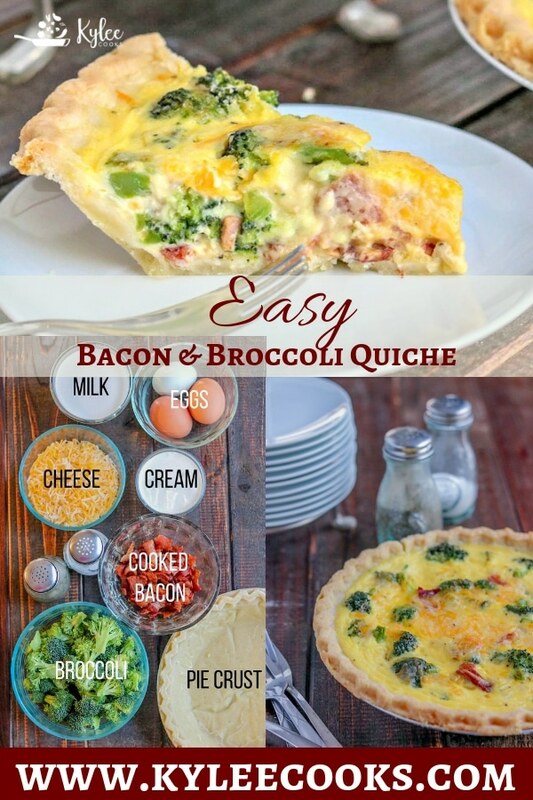 WANT TO TRY THIS EASY BACON & BROCCOLI QUICHE? PIN IT TO YOUR BRUNCH, LUNCH OR LIGHT DINNER BOARDS! 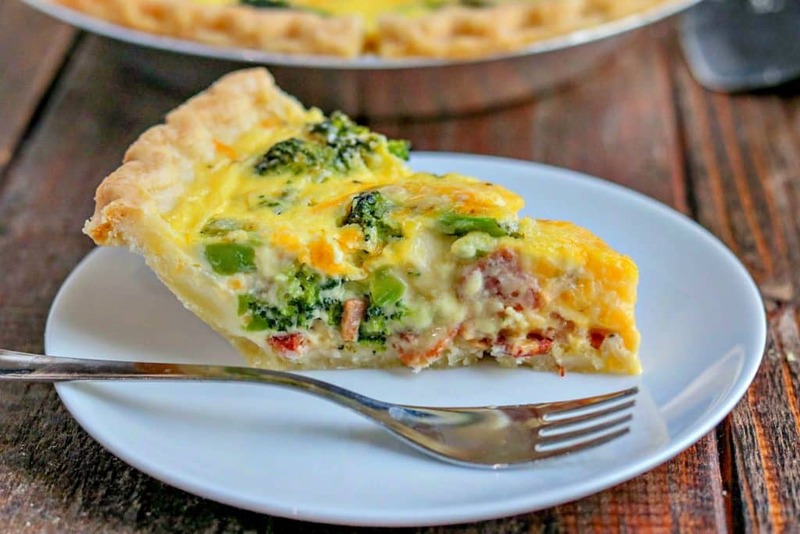 Broccoli Quiche (with bacon) is deliciously easy, totally cheesy and filling, made in about 30 minutes, and great for making ahead! In a large skillet, cook the bacon until crisp. Remove from skillet and drain on a paper towel. In a large bowl, combine the cooked bacon and broccoli, and then add the cheese. Mix roughly until well combined. 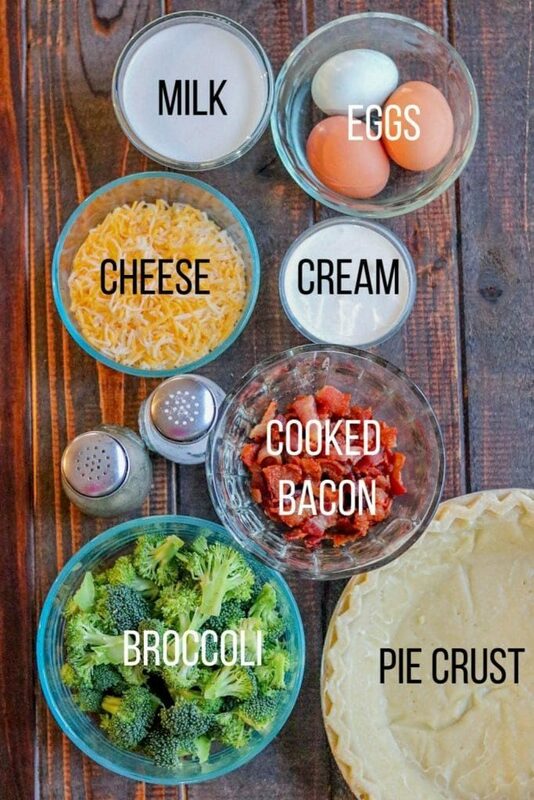 Add the bacon, broccoli and cheese to the unbaked pie crust. Whisk together the milk, cream, eggs, salt and pepper. 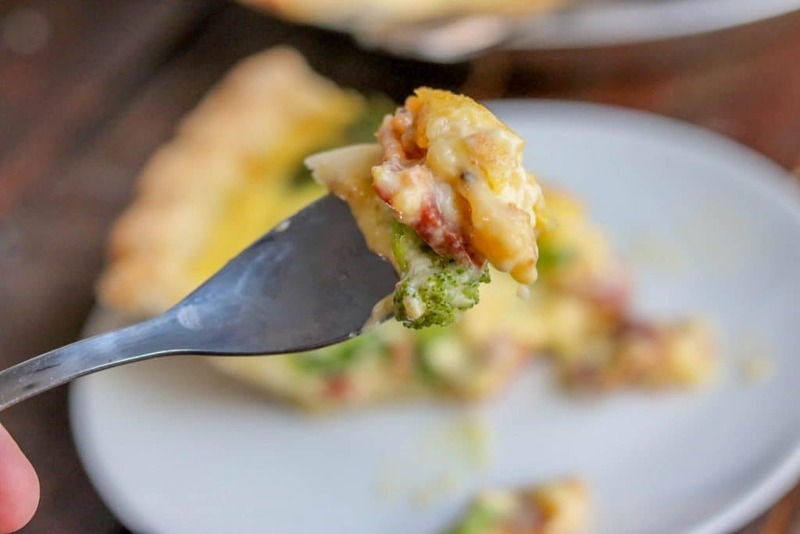 Pour over the bacon/broccoli cheese into the pie crust. Bake for 30 minutes, or until you can’t see liquid in the center of the quiche. Eat warm, or chill (covered) in the fridge for another day. When cooking - place on a baking sheet. In case your eggs are bigger than mine, and there's overflow - you want it on the baking sheet, not baked on the bottom of the oven! Use a store bought frozen pie crust - or make your own! Storing the quiche in the refrigerator - cover tightly with plastic wrap and eat within 3-4 days. UPDATE: This post was originally published in July, 2017 and has been edited to improve reader experience. The recipe remains unchanged. 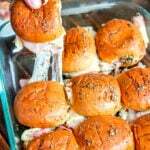 All your recipes are good so it is really nice to follow your blog. keep going on. Quiche is a go to staple in our house for hard weeks too! Geez now I want quiche! I sat down this weekend to figure a good time for “back to school” shopping. We don’t have a single weekend day without something planned before school starts. AHHHHH! It’s always great to have several quiche recipes, I’ve learned – they’re so nice to throw together for a crowd! These ingredients are the ones I also usually lean toward when I make quiches, and your recipe looks so delicious! Beautiful photos, too! I am a love of a good quiche lorraine yours looks so good and it is so easy to make. Good to add veggies too I wish I coudl taste. I LOVE quiche. With a nice little side salad, it makes the perfect brunch, lunch or dinner. Also the perfect entertaining dish too….people think you spent hours in the kitchen. Love how the simple dishes are always the best!! My kids love quiche so I take the opportunity to add stuff like veggies in the quiche. This looks amazing. I think my kid will love it. They do like broccoli !! One of my favorite dishes — quiche. What’s not to like — eggs, cheese, great veggies. They’re all combined on top of a tasty crust. I could go for a slice right now. Having things already prepared is so nice. Less stress and a delicious meal, to boot. Relax and have a nice visit with your mom. Seriously having prepared recipes like this just makes life so much easier! I love the idea of using broccoli in them, the quiches I used to have only ever had bacon and cheese ha! Thanks for the recipe! 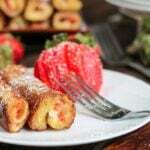 Make ahead and can be made in 30 minutes? 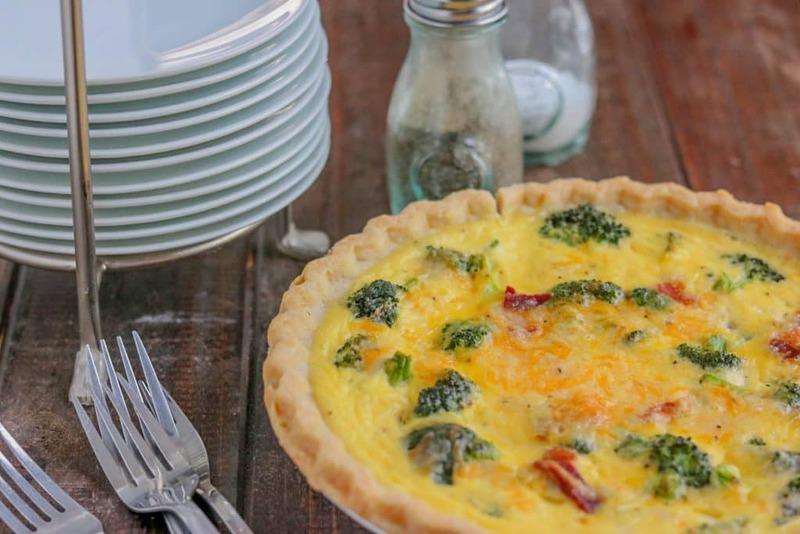 This is the perfect quiche recipe for next weeks brunch! Such a delicious summer quiche. I loove the combination of broccoli with bacon and this is a must try ! I love Quiche it’s one of my favorite summer dishes.. Your version is so simple and looks delicious. Great idea adding broccoli. My book club is at my house next week – this will be our lunch!! My son is also going to Kindergarten this August. yes I know what you mean. By the way love your quiche that to loaded with bacon, broccoli one. which make a filling breakfast. It looks jummy and healthy.